Earthly Issues is a project of The Ozone Hole Inc. The Ozone Hole Inc. is an organization dedicated to protecting the ozone layer, the climate and Earth's environment by educating and motivating the public through its internationally respected websites, http://www.theozonehole.com and http://www.earthlyissues.com . Currently the websites are being used as an educational tool worldwide by the general public, students, educators, scientists, governments and researchers. The vast majority of visitors are students aged 11-22 years old. 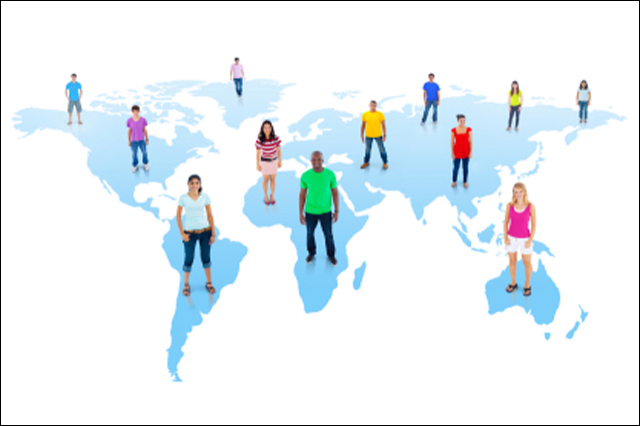 To date 35 million people visited the websites (actual visitors not "hits")- People from all 50 states and 210 countries. Thousands of websites around the world have links to the websites. The http://www.earthlyissues.com website has a wide range of environmental and educational topics presented, contains articles and photographs. Over 150 different subjects are presented. Each subject is thoroughly researched and constantly updated. The http://www.theozonehole.com website provides daily images and updates of the Ozone Hole from NASA, The British Antarctic Survey, The European Space Agency and Environment Canada and has a comprehensive database of information concerning ozone depletion, and is a unique and valuable educational resource. The websites contain information that is not available elsewhere and presents information in ways that encourages readers to explore the science and policy in detail. Clear illustrations, diagrams, videos and thorough descriptions provide information to a wide range of viewers, from the curious websurfer to the specialized atmospheric scientist. The website is ranked #1 on all major search engines. 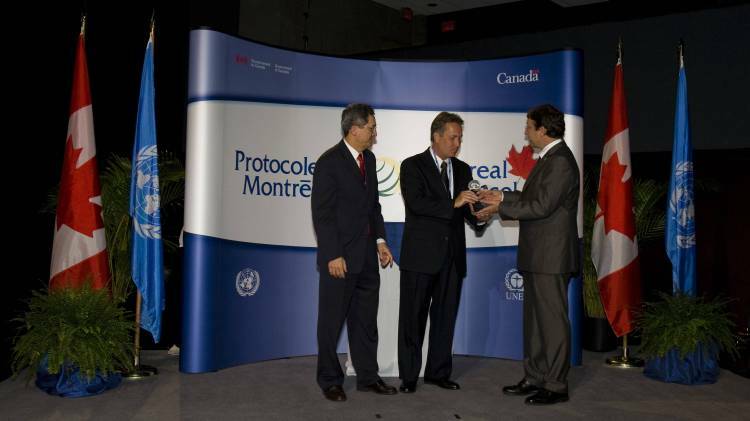 The Ozone Hole website won a Montreal Protocol 20th Anniversary Public Awareness Award from The United Nations on September 16,2007. 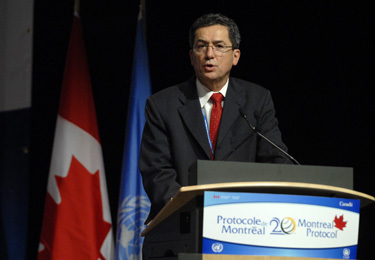 On the occasion of the 20th Anniversary of the Montreal Protocol, on Sunday, 16 September 2007, the Ozone Hole Website a project of The Ozone Hole Inc. was presented the Montreal Protocol Public Awareness Award for outstanding work in raising awareness about ozone depletion and the global effort to address it. Charles Welch, Executive Director, accepted the award from Marco Gonzalez, Executive Secretary, Ozone Secretariat and Achim Steiner, Executive Director, United Nations Environment Programme at the opening ceremony, which was attended by representatives from 191 nations. Award Ceremony will take place on Sunday, 16 September 2007.
upper management to attend the event and accept the award. the global efforts to protect the ozone layer!!! 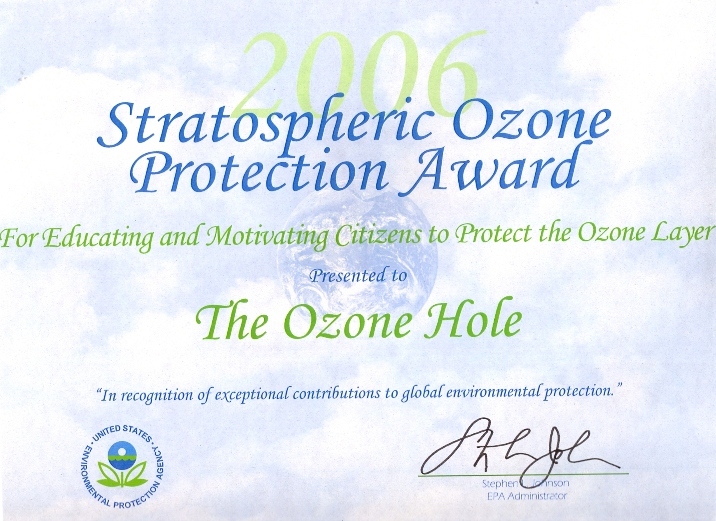 The Ozone Hole website won a 2006 Environmental Protection Agency Stratospheric Ozone Protection Award. The Ozone Hole is a nonprofit organization dedicated to protecting the ozone layer, the climate and Earth’s environment by educating and motivating the public through its internationally respected website. Leading Internet search engines rank The Ozone Hole website as the top destination for information on ozone-related subjects. One particularly laudable feature of The Ozone Hole website is their “Ask the Scientist Program” where leading researchers and scientists answer questions submitted by students and the general public about ozone depletion and atmospheric science. Leading Internet search engines rank The Ozone Hole website as the top destination for information on ozone-related subjects. With the convergence of cable, video and the internet we have the opportunity to educate people in a way never before possible. Technology has revolutionized how we live, learn and work. To participate in today's knowledge economy, people need a level of literacy and education that is unprecedented in history.